Hong Kong’s controversial new air traffic control system is set to plunge airlines and the city’s international airport into fresh chaos as the final commissioning to an upgraded flight radar system this weekend is set to be delayed, the Post can reveal. Aviation authorities have confirmed a new navigation system, which has been several months in the planning, and was scheduled to go live this Sunday, faces technical issues just days before the new system goes live without backup. In recent days, flight radar screens have frozen and malfunctioned on controllers. The Civil Aviation Department confirmed “isolated incidents” of display degradation but insisted flight safety was not affected. The situation may become problematic after the regulator and Airport Authority had ordered a reduction of flights scheduled for a month lasting from October 30 to November 26 to accommodate the new operating system. 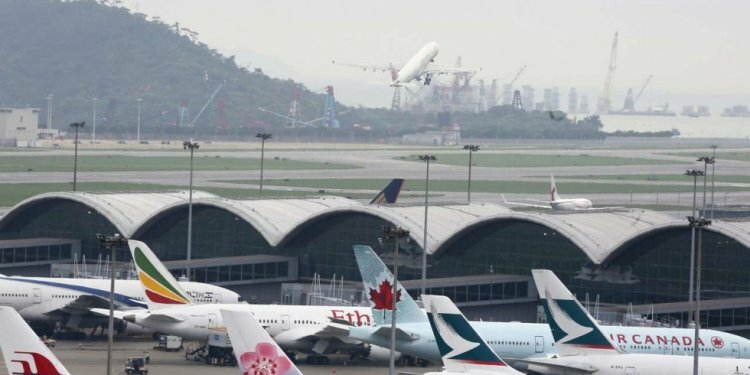 Therefore, there is uncertainty as to whether a fresh delay could extend the reduction of flights, clipping the wings of airlines and stifling Hong Kong’s connectivity as an international aviation hub. The suspension of 2, 520 flights is the cost of switching from out-of-date and unreliable technology to an over-budget and much delayed new system. A source told the Post that the unreliability of the new system and a revolt by controllers have led the Civil Aviation Department to delay the introduction to the new air traffic control system for up to 10 days. In the last Legislative Council hearing in March discussing the air traffic control system, the government said the new system would be fully commissioned by the October/November transition period. However, in a statement by the CAD last night, it appeared to row back on the commitment. “In deciding on the exact date for launching the new ATMS (air traffic management system) within the time frame ... the primary concern of the Government is aviation safety. We’ll continue to monitor and assess the performance of the ATC staff and the system in the final stage of the PFI (phased functional implementation). The new ATMS will only be commissioned when both system and staff have achieved a high level of readiness. A spokeswoman added that individual air traffic controllers “requested” more time and chances to familiarise themselves with the new interface of the new system, and the authorities provided extra training sessions to “boost” staff confidence and competence. However, the senior air traffic control source said of the impact: “The transition could be extended, to train people to the level they need to be. The delay could last a lot more, so people could work with less flight traffic until they feel confident with the new system, ” the senior air traffic control source said of the impact. Since the summer, air traffic controllers have been working on the new system in parallel with the old system. This method was used to ensure that the old system could be used as a back-up while live testing could continue and staff could get used to handling the new equipment. Under the official transition period, the back-up system would be switched off, and the new system would go live on its own for the first time with a reduction in flights to ensure controllers cope with the workload of directing flights in and out of the airport. The timing of the phasing-in was made during a quieter travel period so disruption to flights would be minimised, but the cut affected only passenger flights. Cargo and freighter services are headed into the peak business period, and therefore protected from direct cuts. The delay adds to the sorry saga over the malfunctioning US-made radar system – Raytheon’s Auto Trac III (AT3) - which has added to the delays for the HK$1.5 billion upgrade.